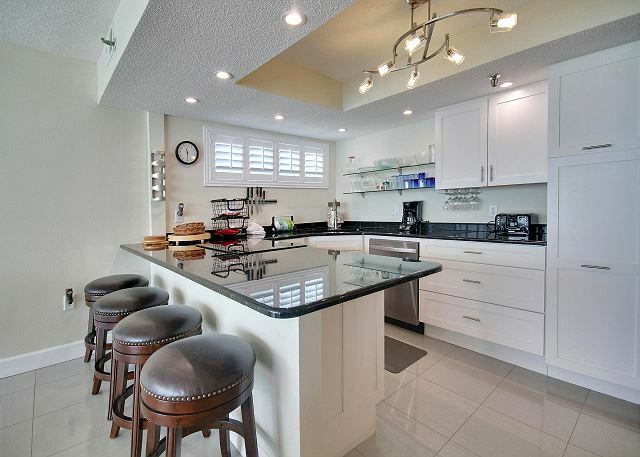 From the moment you enter, this totally renovated north corner condo will take your breath away. 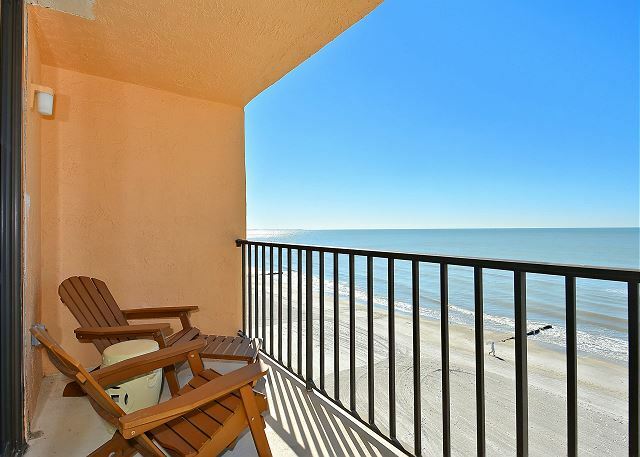 Enjoy sweeping views of the beach and the Gulf of Mexico from your private balcony. Inside your condo, the contemporary décor creates the perfect atmosphere to relax and unwind. The spacious living area has plenty of room to gather with friends and family. Or if you prefer, curl up with a good book in the separate sitting area. Care to dine in for the night? The state of the art, fully equipped kitchen will awaken your inner chef. 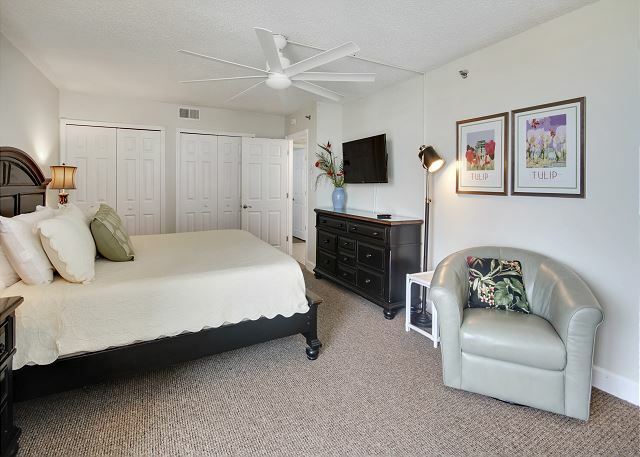 Other amenities include a washer and dryer, flat screen TV’s in the living room as well as both bedrooms and wireless internet service. We loved the condo! The view is amazing! Location was perfect. Anything we needed was in the condo. When we booked, we did not realize there were just 15 units in the building, but we really liked having only 15 units. Wonderful to hear!!! :-) We are so glad you were comfortable and had all that you needed in this premier condo at The Trillium and we hope to see you back for another visit soon! Always love staying at Trillium! Resort Rentas is the best company to rent through! Always professional and friendly! Thank you so much for your kind words about our staff and company, we really appreciate that!!! :-) We love that you love the Trillium and enjoyed your time in this premier condo!! Thank you for choosing to stay with us and we look forward to your next visit to Madeira Beach!! Vacation returns to same unit. We have reserved this unit several times and is always EXCELLENT. One time we could not make the reservation date and gave to our best friend and his wife. They too could not stop talking and complementing the units. That is awesome, what a nice thing to share with your friends!! 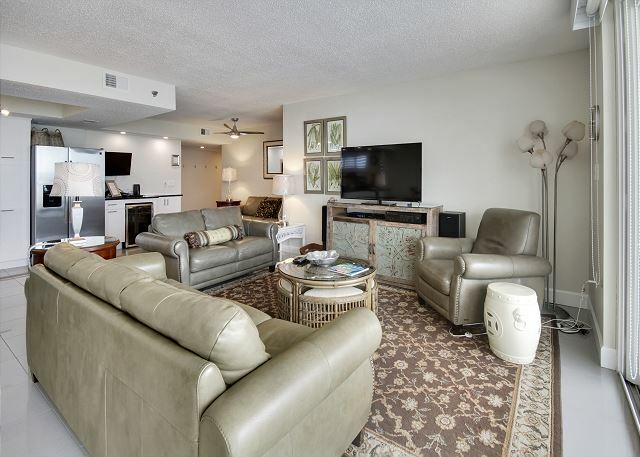 :-) So glad you all enjoyed this premier condo on Madeira Beach and we look forward to having you back for more visits!!! Great unit. 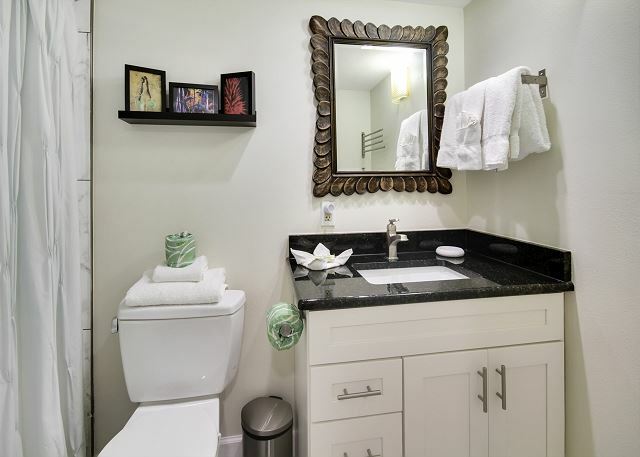 Very well decorated and clean. Awesome, so glad you enjoyed it!!! 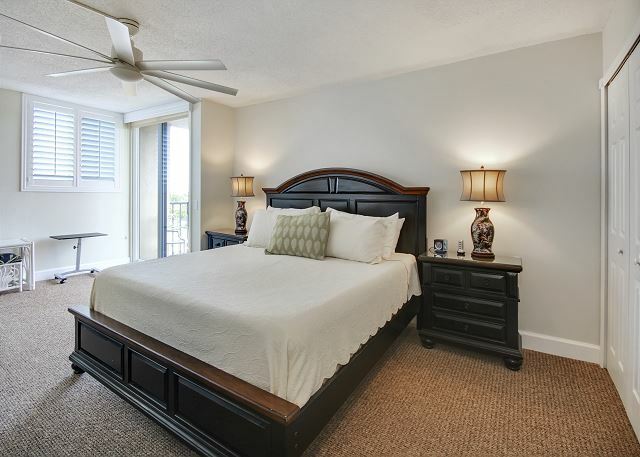 :-) Thank you for staying in the premier condo on Madeira Beach with us and we hope to have you back for another visit. Very clean unit. A few steps to the ocean.wish the bedrooms were also on the ocean side due to the fact the street noise was quite loud with the roar of motorcycles well into the early morning hours. Very helpful and nice at the office when picking up the key to the unit. Many restaurants near by. Thank you for your feedback from your recent stay at The Trillium! 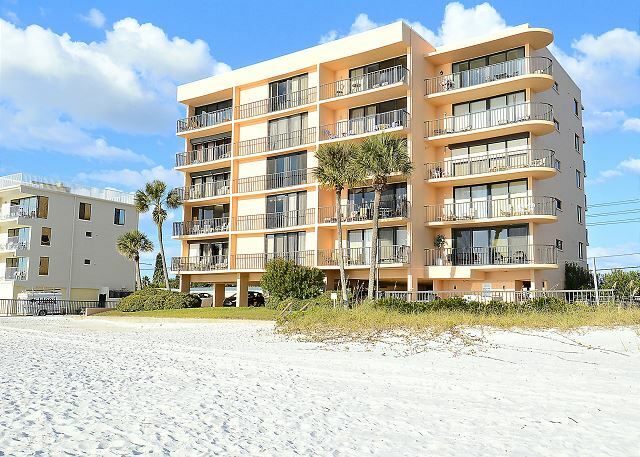 We are so glad to hear you enjoyed this premier condo on Madeira Beach, it really is a nicely updated unit!!! For bedrooms on the beach side you may look into staying in a "B" unit here as the center units in the building will have the floor plans that have the bedrooms on the Gulf side. :-) We have a number of "premier" options in the A, B and C units here! Thank you for choosing to stay with us and we look forward to your next visit. Very impressed with Resort Rentals staff. Our complaint about internet connection was addressed very quickly as without connection no phone! Never did get entry intercom to work. A bit concerned about extension cord running under carpet. Overall it was an exceptional stay and would definitely come back again. Enjoyed the sunsets! 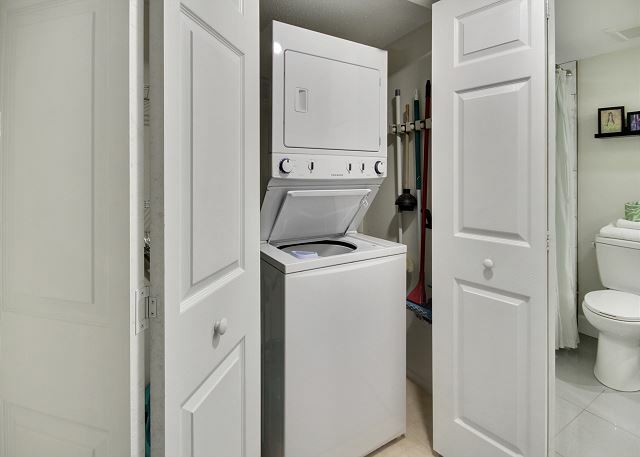 Thank you for your feedback from this condo; we have passed this over to the owners for review. We are so sorry for any issues you may have experienced but thank you for calling us so that we could get things resolved for you! 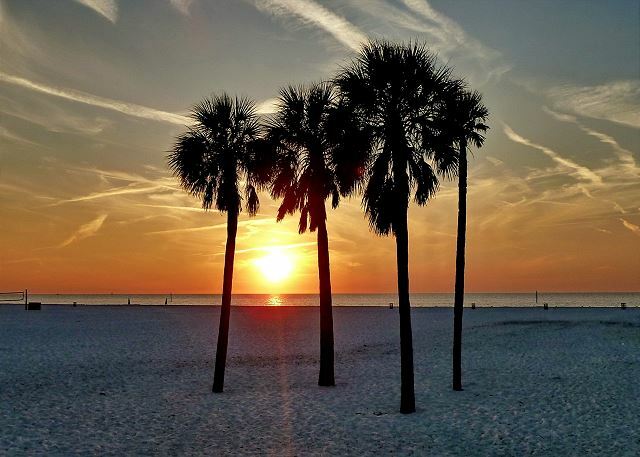 :-) We love to hear you had a good stay and enjoyed our BEAUTIFUL sunsets, Madeira Beach is a great spot to catch them!! :-) Thank you for choosing to stay with us and we hope to see you back for another beach getaway soon! Very good. Easy reservation process and perfect location on the beach. Condo was very comfortable. Television reception was not great (especially in the master bedroom). Dishwasher also needs to be re-seated or adjusted. Thank you for your post! We will be sure to take a look at the items you have listed here, thank you for letting us know! We do apologize if those things were not up to par and we will be sure to have this adjusted. 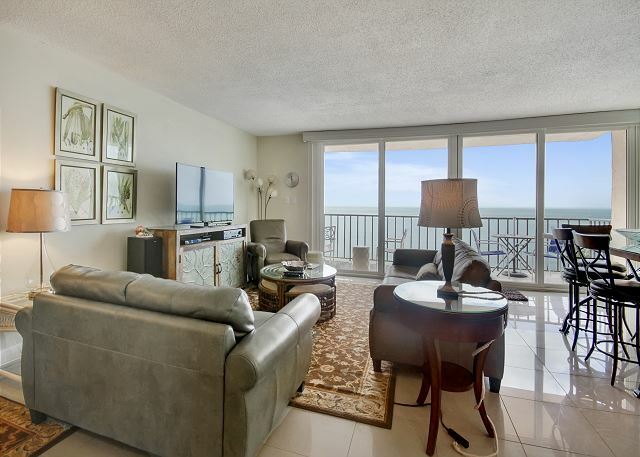 Outside of those items, we are glad to see that you were happy in this premier condo and that you loved the beach location, it really is just AWESOME!!! 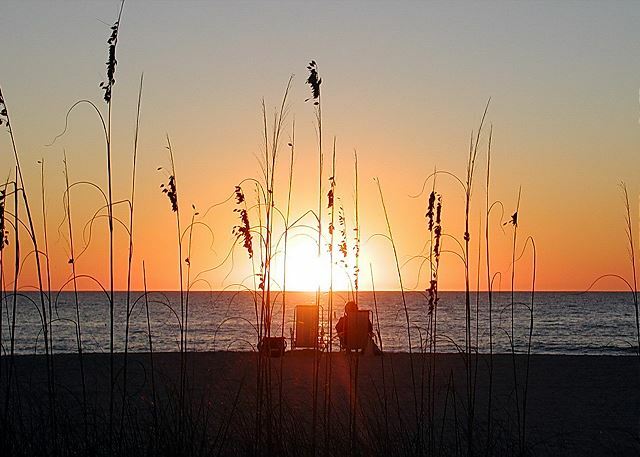 :-) Thank you for staying with us and we hope to see you back on Madeira Beach soon!! Although the place and the view was amazing the high dinning room chairs were difficult to climb for our son and the pool size was too small and crowded. Otherwise, it was perfect. For the price, the condo was good, nice view. Kitchen had everything we needed. Very noisy compared to indian rocks beach area. Pool was ok. Needs some care. Key's were very hard to use on the main door and the condo. Called the rental on call (was nice) and was addressed on the next week day. But the locks basically need replaced. Thank you for your post and feedback, we really appreciate this! We are sorry for any troubles you had with the locks but thank you for calling to let us know so we could have it looked at. 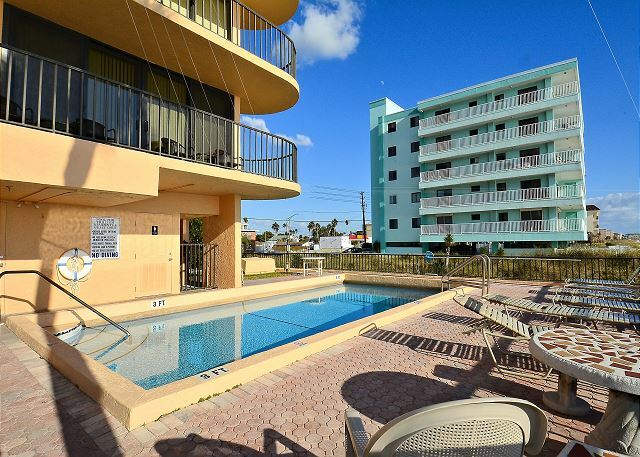 We hate to hear Madeira Beach was not the same feeling for you as Indian Rocks, they do have a different dynamic but we are sorry if it was not the right fit for you. We are glad you enjoyed the condo and views, the owners of this unit really did a lovely job with the updates inside! :-) Thank you for staying with us and we hope you will return to our area for another beach vacation in the future. Awesome!! 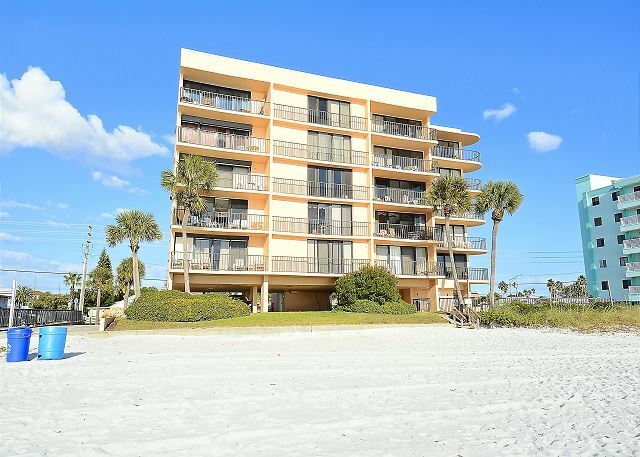 Glad you enjoyed your time on Madeira Beach in this premier condo; it really is an awesome unit and we are glad you like it! Thank you for staying with us and we look forward to your return visit! Words can't describe the experience we have had at 5C year after year. We consider this our home away from home. It is impeccable each time we stay, the location couldn't be better, and the property management company is second to none. We have been staying in this particular unit for years and hope to continue to do so as our kids get older and have their own kids. This is the ultimate family retreat! This is SO awesome to hear!! 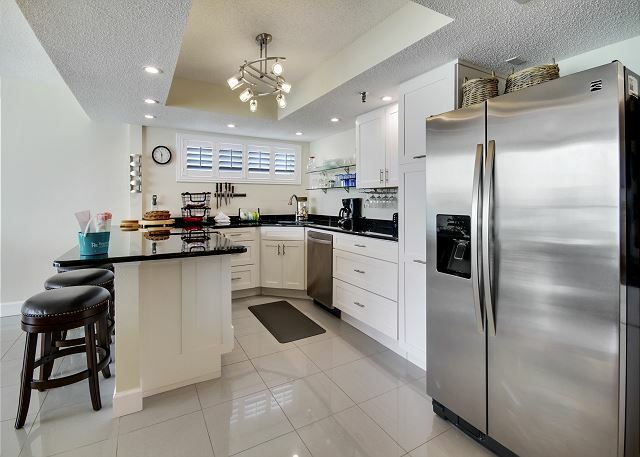 :-) We love that this premier condo at the Trillium is your "home away from home" and we too hope that you and your family will come for many, many more years to create wonderful memories for all! Thank you so much for being a repeat guest with us, we truly value you and look forward to having you back again next summer! The condo was wonderful...very spacious, great views, and a closet full of beach items, When you look out the glass doors all you see is ocean. TV's were big and had a stereo sound system with the living rooom one. Bed was very comfortable and the AC worked well. Resort Rentals was wonderful. As you can already see, the website gives you fantastic information and I can confirm the photos are up to date. Checking in/out was a breeze and the folks there acted like we were long lost family. The condo is someone else's home of course and sometimes things break. The dishwasher broke while we were there, but RR got their maintenance guy there promptly and RR followed up with a phone call. Highly recommend the property. Enjoy your wondeful week on the beach! Thank you so much for this awesome post!! :-) We are just thrilled that you had such a pleasant experience in this premier condo at The Trillium!! :-) We do apologize for any issues the dishwasher brought to you but thank you so much for contacting us so that we could get that addressed for you. Thank you so much for staying with us and we look forward to your next Madeira Beach getaway!! Rental Agent Resort Rentals is most helpful. 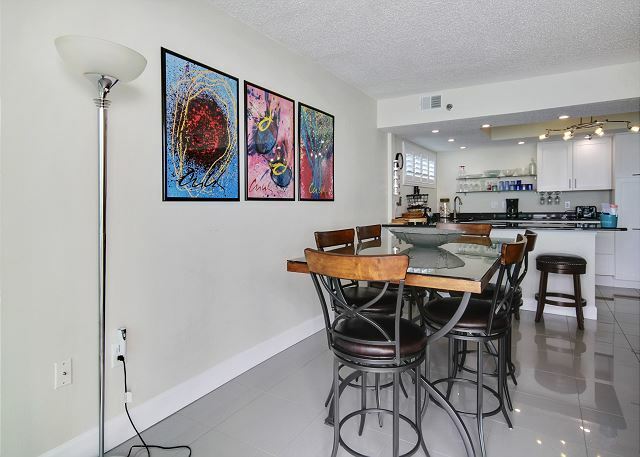 Trillium 5C is top floor and beautifully updated. Modern kitchen and bathrooms with all necessary equipment. View of beach and the gulf is outstanding. The lobby, building interior, and exterior are kept exceptionally clean at all times. Thanks for the post! We are so glad you enjoyed this premier condo in our program, the owners really did a lovely job with the updates inside and we are glad you liked it!! :-) Thank you for being our guest and we hope to have you back on Madeira Beach again very soon!! 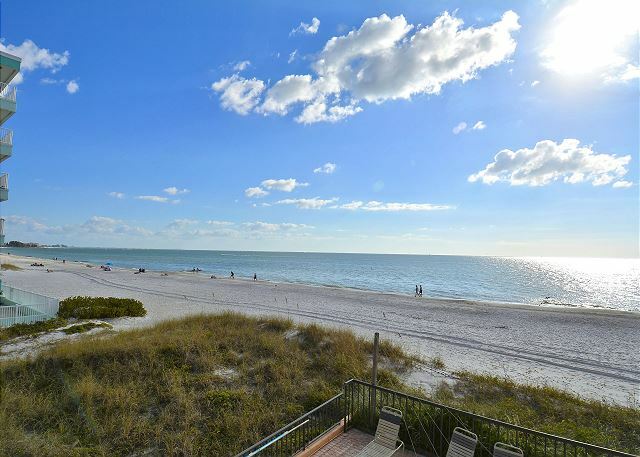 Thanks for the post and we are so glad you enjoy this location on Madeira Beach!! :-) We look forward to seeing you again! Absolutely the BEST time ever!! The #5C condo was OUTSTANDING!! Beautifully decorated and had everything we needed!! It was way beyond our expectations! !Loved this place!! Great Gulf view! !So Hope its available again for future visits. Resort Rental was Great to work With too!! Great location, great view, beautifully decorated. Highly recommend. Will be back again next year. Has become our October tradition. This is the third time we rented at Trillium. First was two years ago in another unit. It was great. Last year we reserved 5C and gave to our friends and this year we used 5C for ourselves. The unit is beautiful and well equipped. We enjoy the view and peach and quite. All the people we meet are friendly and nice to share time with. When we left were discussing how to plan for next year at the same unit. Don't know the owner, but THANK YOU for sharing the time in the unit with us. We truly appreciate. Thank you for your post! We are so glad to hear you enjoyed your stay at the Trillium on Madeira Beach!! 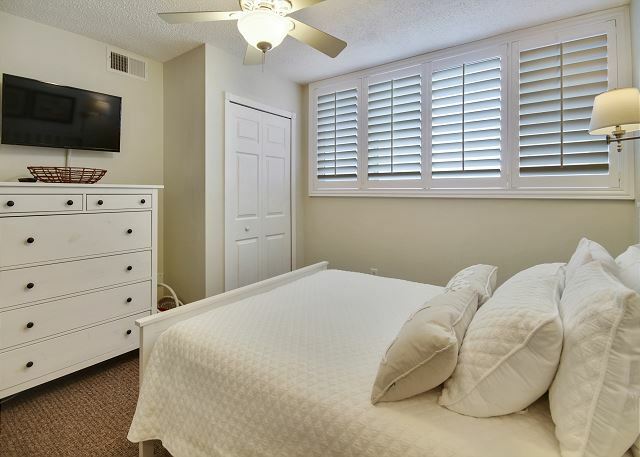 This condo falls into our Premier category of units which carry recent updates and you are right, it is beautiful! The owners really did a great job!! :-) Thank you for being a guest with us and we look forward to having back! This is our 5th time here, that should speak for it's self. The condo was awesome. So much room for our family of 4. Very clean. The views were to die for. Weather was beautiful everyday. Not a huge complex so not a lot of people which is nice. The condo had a few beach chairs and umbrellas and a styrofoam cooler in the closet.Very close to Johns Pass. The only thing I would suggest is to have a few other necessities on hand. For example...salt and pepper, dish soap, a few spices. Nothing major but it would help. When we left I left a few of those items. Overall it was a great condo, great location and plenty of room. This condo was incredible. Loads of space, beautifully decorated and updated with a perfect view of the ocean. Spent a lot of time on the balcony, sitting on the beach and relaxing. Plan on coming back next year and doing it again. Thank you for sharing your property with us! The unit was very nice. Great furniture and all new appliances. We had an incredible week at the Trillium. 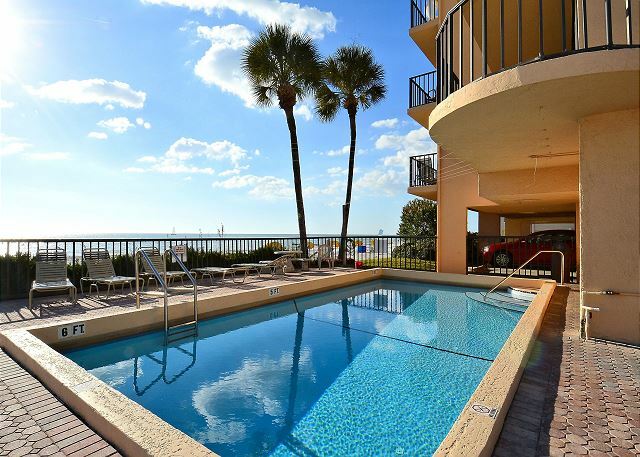 The location is perfect and being able to have a view of the strip out the master and then that outstanding view of the Gulf gave us the best of both worlds. The condo we stayed in rocked! It was completely updated, towels and linens were clean and of a high quality (I have stayed places where the linens were like paper). The kitchen was so well furnished--we had gourmet meals nearly every night. 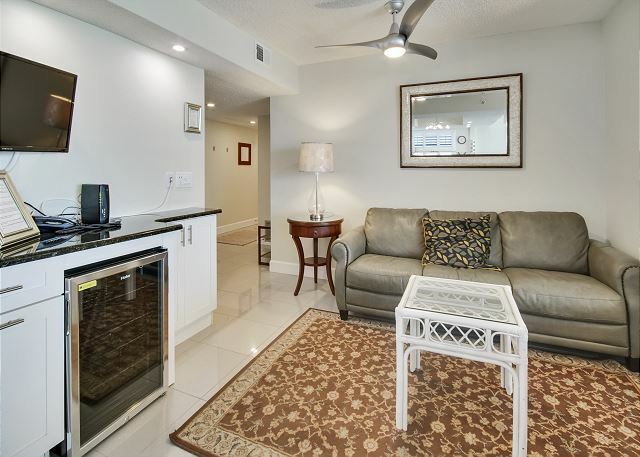 The layout and spaciousness of the condo gave everyone plenty of room to stretch out. We never felt cramped with six people. The pool was small but really the perfect size and the location right off the beach made it easy for me to keep an eye on the big kids at the beach while my little one and I stayed at the pool. The building is a little older, the elevator a little slow, and we wish there was a key code system so check-in/check-out isn't as inconvenient (have to drive to St. Pete to get keys and then drop them off). But it was all worth it and really not a big deal. I can't say enough great things about the condo, the property management company, or Madeira Beach as a whole. We will be back again and again! My family and I (two young children) had a great stay at this condo. 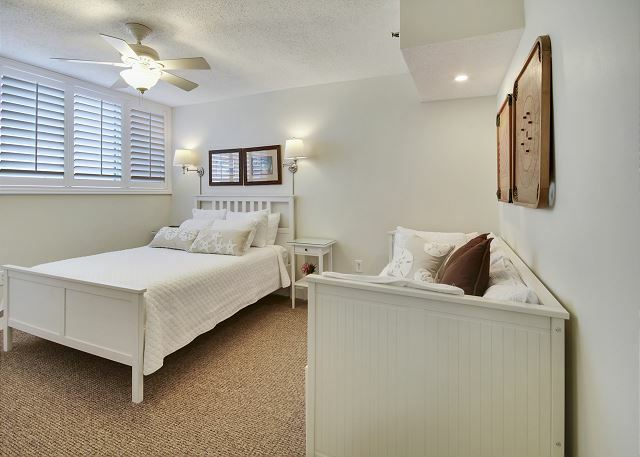 The place was extremely clean and very well appointed with every necessity you would need or want. The place looked like it was recently remodeled and all the furniture was extremely nice. I would recommend it too anyone. Awesome condo with incredible view! The condo was beautiful, clean and modern with nice furniture! Great location, great view! Loved that it was a small crowds. We've stayed in various beaches around the area and different condos and this was at the top of my list! Would definitely stay here again! 5 star. Great place, great view, soft sanded beach. Steps away from the ocean..you dont have to walk a mile away to get back to your room if you needed to get a refresher. 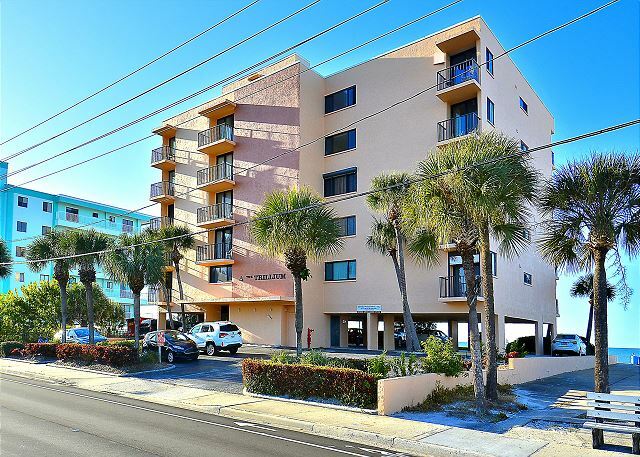 Walking distance to Johns Pass. Beautiful condo. Very modern. Well stocked with bedding and all your kitchen needs. Beach items also provided. Pool small but adequate. Beach is just steps from the condo. Perfect view. Everything about our experience was just great! Found the unit at the last minute after a change of plans. 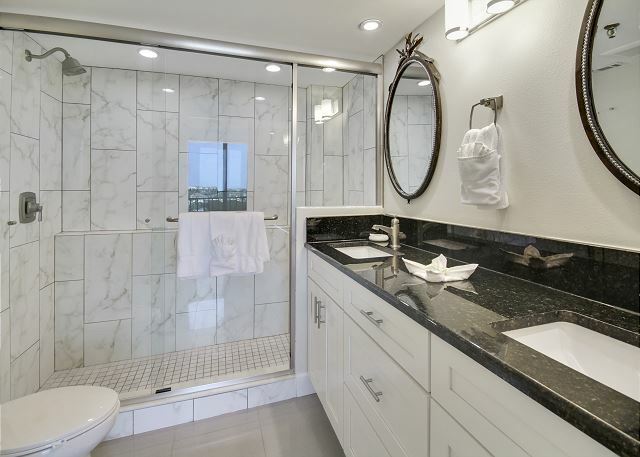 The unit itself was spectacular, newly remodeled, clean and convienent. The condo was absolutely awesome! The spaciousness and cleanliness were beyond compare. Wish this condo were closer to our kids in Punta Gorda. Only regret was the weather...only 1 sunny day the entire week. Sea fog did not burn off...But you can't control Mother Nature! Cannot say enough good things about the condo..fantastic!!!! A Much Better Experience Than We Could Have Ever Expected! No one in our party of 4 had ever rented a condo before. I must say it completely exceeded all of our expectations! Very nicely decorated, wonderful view, appliances in wonderful condition. Beds comfortable. Just can't say enough to justify this place. VERY clean. Pool was very nice and really warmly heated. LOVED IT. There is a binder on tv stand to give you ideas of places to visit while you are there. We added a few of our own that we found. Overall.. not a negative thing to say, other than our vacation wasn't nearly long enough! Thanks so much!